Macy's warned on Tuesday that its profit margins are shrinking, sending the company's shares down by as much as 7%. Karen Hoguet, the department-store chain's chief financial officer, said at the annual investor day that second-quarter gross margins were running about one percentage point below last year's level, Bloomberg reported. The company reaffirmed its earnings forecast amid cost cuts. 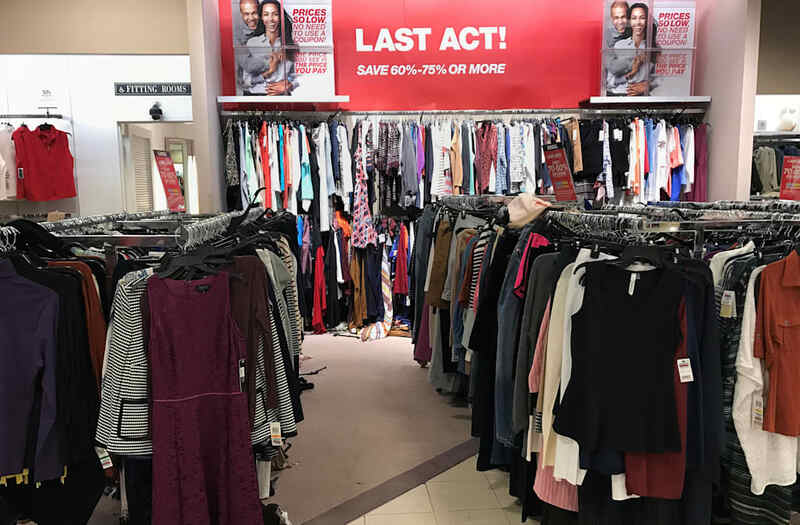 Macy's is shutting down about 15% of its store base, or about 100 stores, as it copes with declining traffic to physical stores and aims to better compete online. Macy's CEO Jeff Gennette in May did not rule out more store closures to stabilize the brick-and-mortar business. To raise cash, Macy's has been looking for ways to better utlize its real estate. The company said Tuesday that it was looking into "additional alternative uses" of its flagship location in New York's Herald Square, including using the rooftop. The shares of other department stores were lower after Macy's warning. Kohl's fell 6%, while J. C. Penney dropped 4%. Macy's first-quarter earnings were weaker than expected. Sales at stores open for at least one year fell by 4.6%, more than the 3.5% drop that analysts had forecast. Macy's shares have lost 35% of their value over the past year.